Well they keep 'em on from dusk 'til dawn and everything's alright"
There was no way that anyone could have been happy with this game, save something in the realm of a return of the 78-0 defenestration, so a 35 point victory without a shutout, something that Michigan fans would have clamored for in their dreams just a season ago, will engender complaints, even if briefly. 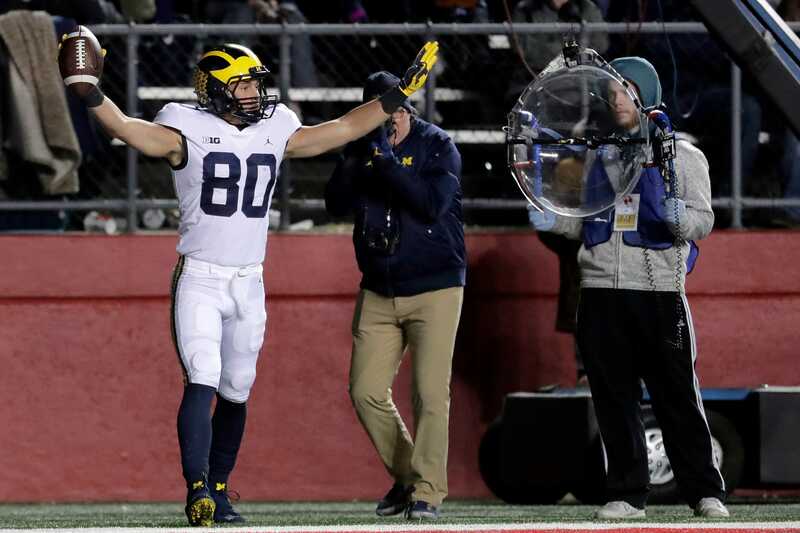 In the final analysis, Michigan won by five touchdowns and after Chase Winovich's fumble recovery, the math was sufficiently convincing in Michigan's favor that even the AP Elections Bureau had called the game in the Wolverines favor, despite there being 17 minutes of football remaining to be played. There were some nice moments in this game. Karan Higdon went over 1,000 yards for the year, something he had sought since being disappointed on that front last season. Oliver Martin caught his first career TD after being vigorously denied on several occasions. Shea Patterson made some nice throws on the move while never once pulling and running, keeping himself on track to be healthy going into The Game, knock on wood. Some of Shea's deep shots just missed, a couple of which were nicely defended by the Rutgers secondary. The game was a much-needed reminder of the maxim that Scott Van Pelt likes to trot out "Well, they got some guys on scholarship too." Rutgers played with some pride and it's to their credit that they still looked like a group of guys who wanted to see what they could do. You get an early touchdown like that on a bust, you get the right to dream a little bit. Beyond that, it's done and Indiana on the docket. Let's see what happens.